A reset or re-calibration of your Phantom’s IMU Compass will need to be completed if you are still receiving yellow and red flashing lights after using the normal compass calibration process. The problem occurs because the drone’s compass has come close to a strong magnetic field. This problem only happens in GPS mode and not in altitude mode. Follow the instructions in this article and or scroll straight down and watch the video which shows you how to re-calibrate the compass on your Phantom 2. If you own an new Phantom, read and follow these instructions for the Phantom 3 IMU calibration and Phantom 4 calibration procedures. Another great article with video is on how to improve the gps signal on your Phantom 2. 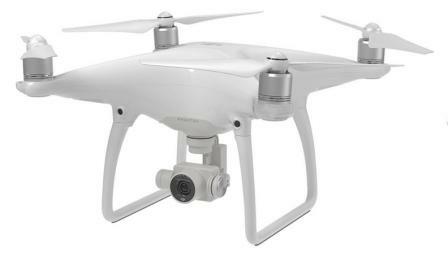 The Phantom 2 is a terrific quadcopter. The best and most beautiful drone videos on YouTube have been filmed using the Phantom and GoPro Hero combination. I hope this article and video instruction gets your compass calibrated again so you can get back out doing what you love best. Flying your Phantom. Plug the drone into your computer using the USB cable and open the NAZA flight control software and look at the Compass values under the tools menu. Your values for Compass should be in the range of -300 to +300 on the Y value. The Compass Mode value should be in the 1400 to 1800 range. A reset of the IMU compass on your Phantom needs to take place for example if you Compass Y value was at say -600 and the mode was over the 1800 range. Sometimes the compass Mode value can be right up in the 5000 or 6000 range. When your IMU values are too far out of range, the calibration process cannot fix this. You need to first bring the values down to where the calibration process can fix. 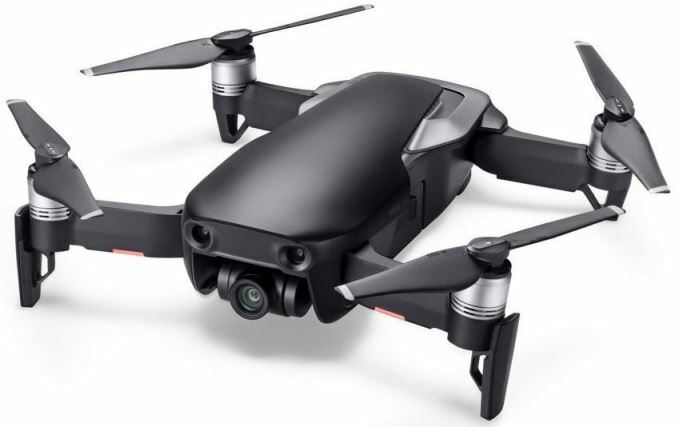 It is well recommended to have the latest DJI drivers, firmware and flight control system. This can prevent the problem happening in the first place and it will also assist greatly in the reset and re-calibration of the Phantom IMU compass. 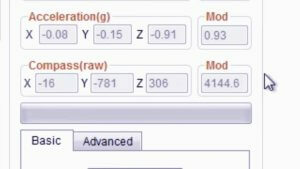 The latest NAZA software has an IMU Calibration section under the tools menu in the software. The below procedure can be completed without being plugged into your NAZA Flight control system. However, it is good to be able to see on screen the Compass Y and Mode values becoming normal again. 1) Power cycle the battery on your Phantom. Remove the battery, wait a few seconds and put it back in. 2) Using a relatively strong magnet, orbit or circle around the location of the IMU compass on your quadcopter. Keep circling and moving the magnet in different directions, up and down and around the compass without touching the compass. Do this for about 20 to 30 seconds then stop. Rotate your Phantom in the horizontal position a couple of time and if you are viewing the IMU Compass values in the software you may see some improvement. Keep repeating the magnet orbiting until the values come back into a close enough range where the compass calibration process will work. If you are out in the field, you can also do the above procedure. Orbit around with the magnet then try to calibrate and keep doing this a number of times until the calibration works. It may take 5 or more tries. 3) After orbiting with the magnet around the compass, then remove and put back in the battery of your Phantom. Then try to calibrate the compass. If still getting the yellow and red flashing, repeat the process. 4) When you receive the green light the compass is back in normal working range. 5) If you have been resetting the IMU compass inside a building, then it is good idea to do one final compass calibration outside in the open. Next, I have a drone d-i-y video, where you can see the whole reset and re-calibrate of the IMU compass on your Phantom.